Woojin speaking during their first CARP meeting this semester. Meet Woojin Suina: 20 years old from North Lake College in Dallas, Texas. He graduated high school in 2015 and spent two years on a gap year program called Generation Peace Academy (GPA) doing service work and developing his faith. Although he recently started college this fall, he serves as Vice President of his CARP chapter and expresses great hope for the future of CARP North Lake. His inspiration to join CARP came from the Intercultural Exchange Trip to Japan and Koreaduring the summer. Being able to meet the co-founder of CARP, Dr. Hak Ja Han Moon, had an enormous impact on Woojin. Woojin with other trip participants in Busan, South Korea. He was also inspired by the CARP chapters in Japan and Korea, particularly their endless dedication toward achieving their visions and goals. Woojin hopes to inherit that spirit and determination. 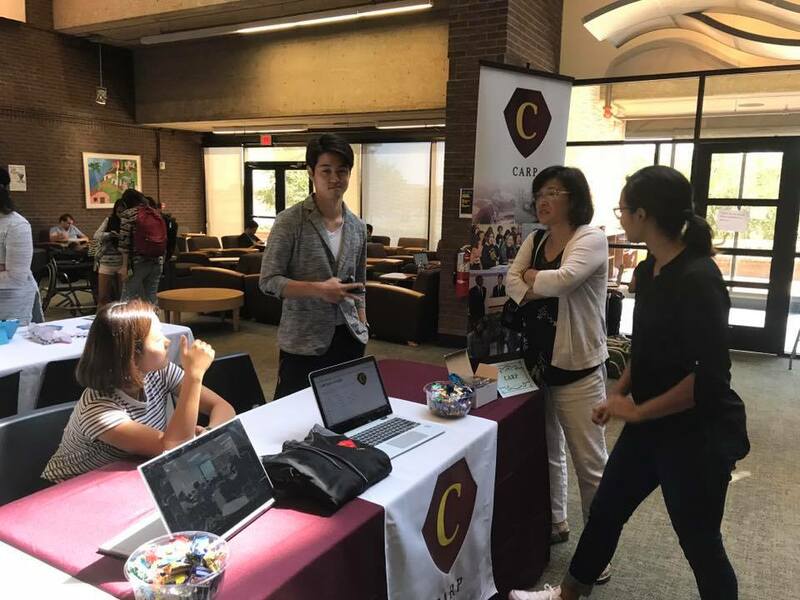 Along with the other officers of CARP at North Lake College, Woojin envisions their CARP chapter being a community of people excited to serve others. CARP North Lake’s kick-off BBQ event before school started! Woojin recognizes his own growth through CARP. After attending GPA, Woojin was worried he would be disconnected from his faith when returning home and going to school. However, being involved in CARP helped keep his faith alive. Woojin (left) with CARP Chapter President at North Lake College, Hiromi Iida (right). CARP North Lake was started in fall semester of 2016 by Chapter President Hiromi Iida. Since Hiromi will be transferring next semester, Woojin is learning as much from him as possible as well as learning to gain support from other key members. North Lake also has several community supporters guiding and mentoring them. Woojin recognizes several challenges in CARP North Lake. 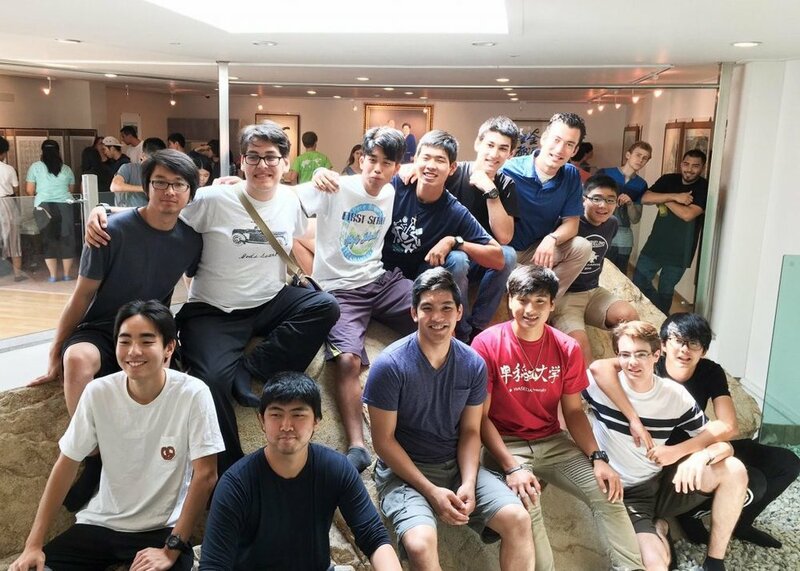 Because of a significant number of Japanese exchange students and the tendency of them to speak Japanese to each other, the language barrier excludes non-Japanese speaking members in the club. He wants to make more of an effort to be inclusive. He also feels that there are some members who are involved in CARP because they feel obligated, due to their parents encouraging them to be there or because they feel it’s the right thing to do. He hopes that in the future they will feel inspired to help out. CARP North Lake’s first general meeting! Despite these challenges, Woojin celebrated a few victories. Currently, CARP North Lake meets on Mondays at 3:30pm with about 20 students attending each week. About half of them are new members to CARP who joined after the Club Fair at the beginning of the semester. Club Fair at North Lake College! Among their 20 members, one of them is the leader of the International Group Club on campus. He comes consistently and enjoys being in CARP. He wants CARP to be represented and work with the International Group in their event, the International Education Week. Woojin looks forward to and is excited about making more of an impact on campus through this collaboration. Woojin leads a team to fundraise. To round out their members’ experience, CARP North Lake does events off campus as well. They fundraise for CARP every other month, and members who attended the fundraising days report having a powerful and moving experience with God. In the future, Woojin wants CARP North Lake to become a hub like CARP LA or CARP LVwhere the surrounding community is inspired by and attracted to CARP activities and events. CARP North Lake’s Club Fair. Woojin’s parting advice to newer chapters is to create unity and harmony with your community supporters. Woojin’s story shows us that by going forward with courage and faith in a larger vision and dream, things can start to happen. Also, it’s a testament to reach out for support in your greater community. Great work, CARP at North Lake College! Share your chapter’s story and inspire others! Send it to jennifer@carplife.org!